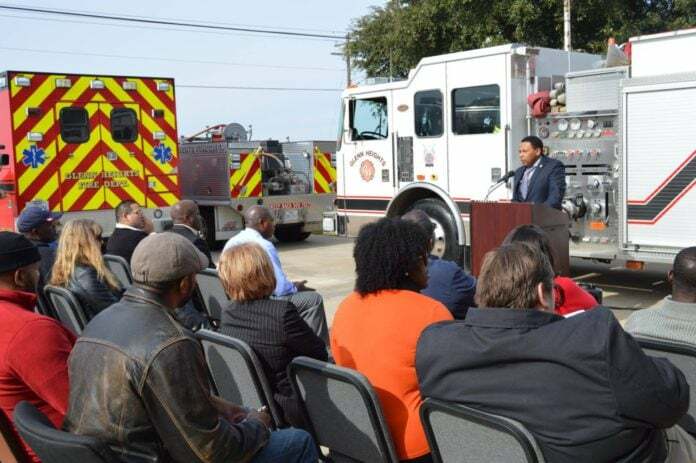 Mayor Tate addresses residents, city employees and members of the media at a press conference noting the city's response to December 2015 tornadoes. GLENN HEIGHTS—For many, holidays are a time for celebration, however Glenn Heights residents live with a somber reminder of a past tragedy. Less than a year ago, a F3 category tornado destroyed homes and businesses along the northern border of town making Christmas of 2015 less than merry. A survey report said 122 structures were impacted. Among those, 32 buildings were totally destroyed. This year December 16, 2016 the city has decided to revisit the event with an anniversary event at Donald T Shields Elementary School. While many from surrounding areas lent a hand in the aftermath, it was the Glenn Heights Police Department that was on call after the destruction. Most noteworthy, is that the police department had been struck by the tornado itself. The F3 tornado hit the Glenn Heights police department building directly. Emergency communications were disrupted and police vehicles were damaged. 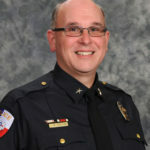 Glenn Heights Police Chief Phillip Prasifka says the staff, through dedication and perseverance, responded in both a professional and compassionate manner, providing service to Glenn Heights’ residents even under those terrible circumstances. “The entire City staff came together in the face of extreme adversity and performed remarkably,” Prasifka said. The city has worked hand in hand with the county, state and federal partners to address damage from the tornado. 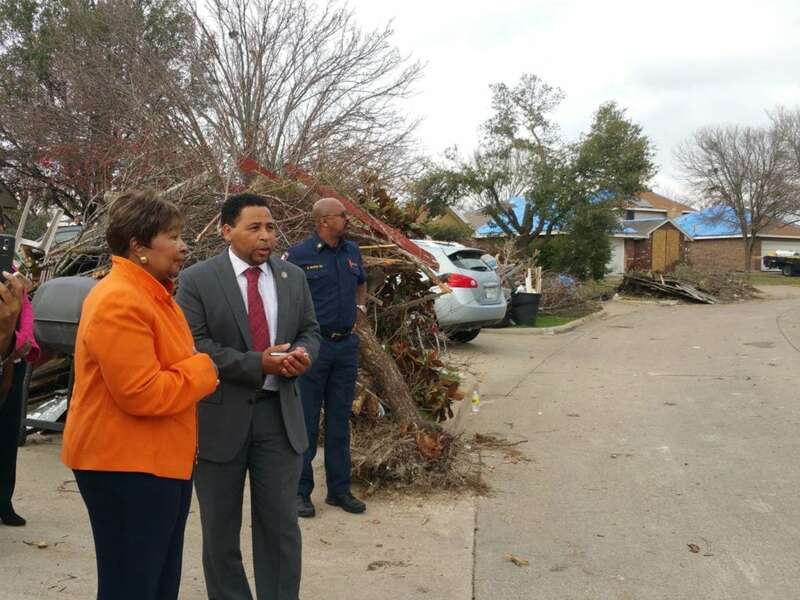 Glenn Heights Mayor Leon Tate and Congresswoman Eddie Bernice Johnson survey the initial destruction of the tornadoes that touched down December 26, 2016. 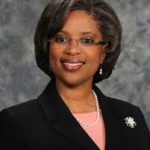 Last year, Glenn Heights City Manager Aretha Ferrell-Benavides was out of town for the holidays when the twister struck. Benavides is proud of the response from city staff even as she directed from a distance.